It is the summer of 1958, and life in the small Texas community of Graham Camp should be simple and carefree. But not for twelve-­year-­old Sammie Tucker. Sammie has plenty of questions about her mother's "nerve" problems. About shock treatments. About whether her mother loves her. 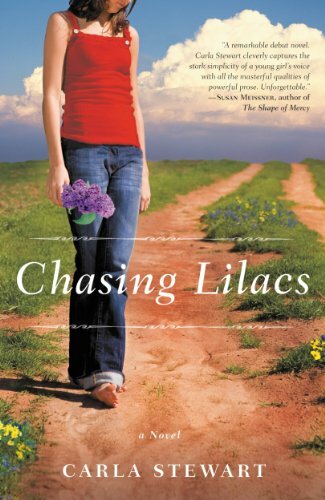 When her mother commits suicide and a not-­so-­favorite aunt arrives, Sammie has to choose who to trust with her deepest fears: Her best friend who has an opinion about everything, the mysterious kid from California whose own troubles plague him, or her round-­faced neighbor with gentle advice and strong shoulders to cry on. Then there's the elderly widower who seems nice but has his own dark past. It's 1962, and Dusty Fairchild, daughter of a self-­made millionaire and oilman, wants to go to college. Instead she is sent to a private finishing school in East Texas. Although she's never wanted for material possessions, Dusty longs for independence and adventure. The only upside to attending Miss Fontaine's is having her cousin and best childhood friend, Paisley, join her. Paisley has traveled the country with her bohemian mother, but she dreams of putting down roots and living a settled life. At Miss Fontaine's, their loyalty to each other binds them, but when they fall in love with the same handsome young man, their relationship teeters on shaky ground. Only after a tragic accident do they learn where their true hearts-­and dreams-­lie. Onstage, the singing duo of Gabe and Mitzi Steiner captured America's heart for more than two decades. Offstage, their own hearts have throbbed as one for sixty years. Only now, Gabe has retreated into the tangles of Alzheimer's, leaving Mitzi to ponder her future alone.­On the other side of Tulsa, everyone believes Brooke Woodson has found the perfect man--­a handsome lawyer with sights on becoming Tulsa's next District Attorney. If only Brooke felt more sure. If only her fiancé could control his anger. If only love didn't come with so many scars.­When an accident lands Brooke in the hospital where Mitzi volunteers, the two women quickly develop an unlikely friendship birthed by providence and bathed in grace. And with Mitzi's help, kindness, and insight, Brooke learns how to pick up the broken pieces of her life. But it seems Nell's gift won't be hidden by Oscar's efforts. Soon an up-­and-­coming fashion designer is seeking her out as a partner of his 1922 collection. The publicity leads to an opportunity for Nell to make hats in London for a royal wedding. There, she sees her childhood friend, Quentin, and an unexpected spark kindles between them. But thanks to her success, Oscar is determined to keep her. As her heart tugs in two directions, Nell must . . . It is the summer of 1958, and life in the small Texas community of Graham Camp should be simple and carefree. But not for twelve-­year-­old Sammie Tucker. Sammie has plenty of questions about her mother's "nerve" problems. About shock treatments. About whether her mother loves her.­When her mother commits suicide and a not-­so-­favorite aunt arrives, Sammie has to choose who to trust with her deepest fears: Her best friend who has an opinion about everything, the mysterious kid from California whose own troubles plague him, or her round-­faced neighbor with gentle advice and strong shoulders to cry on. Then there's the elderly widower who seems nice but has his own dark past.­Trusting is one thing, but accepting the truth may be the hardest thing Sammie has ever done.